This restaurant and butcher shop is the home of chef Jackson Kramer, the Memphis favorite of one of our contributors, Paper & Clay's Brit McDaniel. 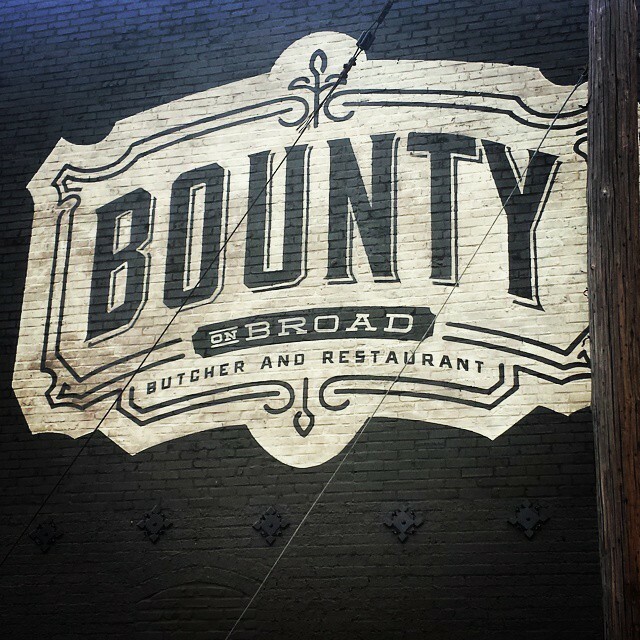 Bounty focuses on rustic new American fare with a Southern inflection and lives up to its name by showcasing the abundance and excellence of local produce, fish, and meats. Meals are served family style, so the more people you come with, the more dishes like creamed kale with fried grits and braised pork shank you'll get to sample. My very favorite Memphis restaurant is Bounty on Broad. Save room for the banana bread and homemade vanilla bean ice cream. Oh my god. It's just as good as the delicious main course options. For an entrée, definitely try the scallops!